A shocking study published in 2018 found that some of the most beautiful, and famous, baobab trees are dying. What will this mean for the people who depend on them—and for the planet? The baobab trunks are thick and bulbous and fat. The bark is shiny and red. The trees don’t sway. They don’t whistle with the wind. Movement is slow and barely perceptible, if they move at all. Baobabs can grow to 100 feet tall; their diameters can reach up to 40 feet. For the most part their leaves appear for just a few months during the wet season and look like the unnatural hair that emerges from a chia pet. Their most dynamic motions are during the roughly five minutes at dusk when their night-blooming flowers open for the bats and moths who drink their pollen, and in death, when they topple suddenly and dramatically in just a few hours. In June 2018, a study was published by the scientific journal Nature Plants; it stated simply that the baobabs are dying. The scientists involved do not know why, but they suspect increased drought and climate change. 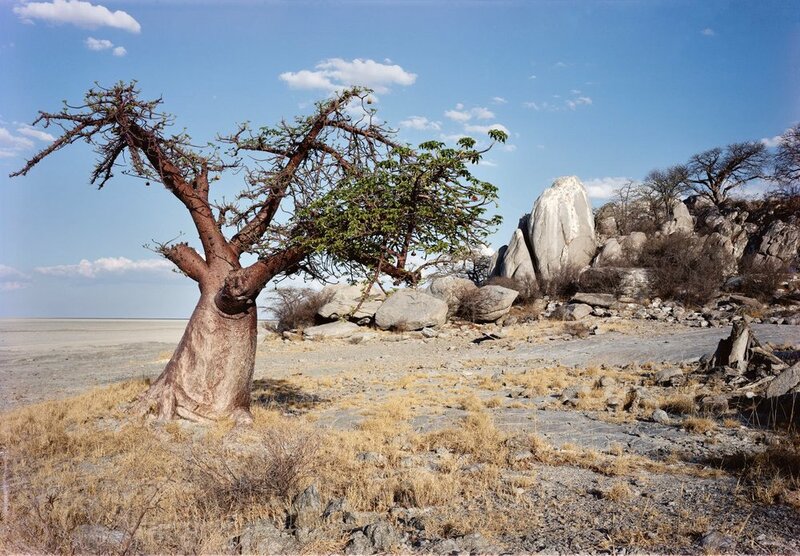 For decades, villagers in Botswana have witnessed the depletion of baobabs because of human encroachment—cattle grazing and farmland have taken over areas once roamed by hunter-gatherers. The introduction of agriculture and changes to the soil have produced a negative effect on the trees. These trees, which are some of the oldest on the planet, are rooted so solidly into the African horizon, they appear invincible, as if the sun couldn’t set without the silhouettes of their gnarly branches reshaping the line where land meets sky. Jaime Lowe, writing for Topic, examines baobab trees — as integral a part of the Botswana ecosytem as they are a part of local culture. Unfortunately, the scientists who discovered that ancient baobabs are dying have no clear explanation why.